The US Air Force Life Cycle Management Command (AFLCMC) has awarded a contract to Telephonics for delivery of its AN/UPX-40 identification friend or foe (IFF) interrogator systems. 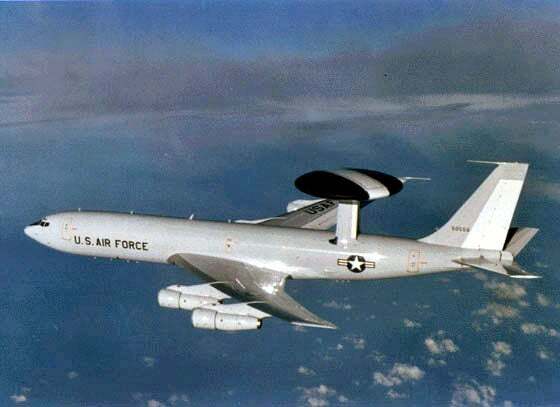 Under the terms of the $60m multi-year contract, the company will supply an undisclosed number of IFF systems for installation on the air force’s fleet of Boeing-built E-3 Sentry Airborne Warning and Control (AWACS) aircraft. Telephonics will also provide installation and sustainment support to the Air Force. Telephonics Corporation chief operating officer Kevin McSweeney said the company will deliver advanced military surveillance radar for integration into the AWACS surveillance platform leveraging its extensive experience in design, development and delivery of IFF systems worldwide. Equipped with advanced code correction algorithms, the AN/UPX-40 is a multi-mode interrogator designed to provide the USAF AWACS aircraft with enhanced situational awareness to help support the integrated command and control battle management capability. The Mark XIIA STANAG 4193, DOD AIMS compliant system provides pilots and military and civil air traffic controllers with geographical location of friendly, neutral and hostile forces, to enable the efficient management of air traffic, and enhance fratricide protection. The system also supports battle management of theatre forces, all-altitude and all-weather surveillance of the battlefield, and early warning of enemy actions during joint, allied and coalition operations. Powered by four Pratt & Whitney TF33-PW-100A turbofan engines, the E-3 AWACS is designed to conduct airborne surveillance, and command, control and communications (C3) missions for both tactical and air defence forces. Image: A US Air Force’s E-3 Sentry AWACS aircraft during its flight. Photo: courtesy of Head.